The GOP touts a beautiful set of principles and values that they never live up to… The Michigan GOP has even posted those principles in Arabic, as Michigan is fast becoming the Mecca of America under Republican leadership. Yet as of today, not one Republican in Congress has stood up to keep their oath. Since 2009, millions of American conservatives have been actively working in Tea Party and Patriot groups to force federal government back towards conservative constitutional foundations, based on the same principles and values espoused by the do-nothing GOP. But no matter how many Republicans they elect and send to DC, nothing changes, Obama’s crimes continue unabated. The people have had enough at this point… and they are finally ready to take matters into their own hands and force their elected servants to keep their oath, to hold Obama accountable and turn this country around, or be held accountable themselves for failing to do so. Since then, House Republicans who have publicly stated their support for Impeachment, and even some who have directly committed to advance TNALC Articles of Impeachment, like Rep. Louie Gohmert of Texas and Rep. Scott DesJarlais of Tennessee, have done absolutely nothing to hold Obama accountable for the many impeachable crimes of his administration. The Constitutional Accountability Coalition (CAC) in 29 states, focused entirely upon advancing the TNALC Articles, has been hosting a weekly BTR event to muster support for the Impeachment of Obama. 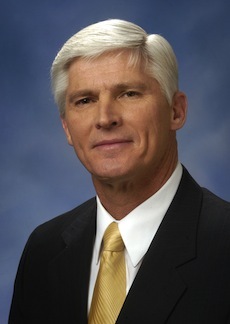 Now, Republican National Committee member David Agema from Michigan has introduced the linked Resolution in Support of Proper Articles of Impeachment at the national level, similar to a GOP Resolution currently traveling at the county and district level through CAC groups in 29 states. Agema, a former Air Force fighter pilot, has become as fed up with do-nothing Republicans in a party he has supported all his life, just like millions of Americans in mass exodus from their beloved GOP after the past six years of incompetence and cowardice demonstrated by every Congressional Republican in office today. This is exactly the type of cowardice that has allowed Obama & Co. to destroy America unchallenged for the past seven years, no matter how many Republicans are elected to stop it. It is also a prime example of why millions of Americans are defecting from a feckless GOP… including Rev. Franklin Graham who recently announced he was leaving a party that no longer represents Republican voters, principles or values. Agema’s Resolution in Support of Impeachment will be a center point of the next RNC meeting on January 13, 2016. The people cannot sit back and allow this true patriot to fight this battle alone in the RNC, facing stiff opposition from both Priebus and Ryan, who remain committed to the path of Boehner and McConnell…. As the party is in free fall. It isn’t any Democrat who is blocking the proper impeachment of the most impeachable administration in US history…. IT IS REPUBLICANS, ALL OF THEM! People who want to support the Agema Resolution need to contact their own State GOP RNC Representatives between now and January 13 to make certain that Agema is not left standing alone in the ongoing battle for constitutional accountability. Nothing good is going to happen in this country until “the people” take action and make it happen. 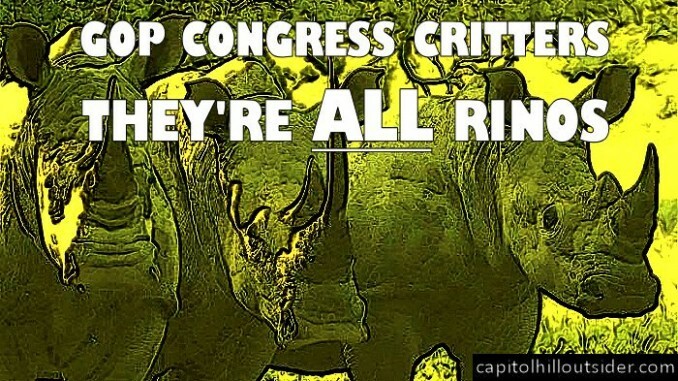 Left to their own devices, Congressional Republicans are going to do the same as they have done for the past seven years, NOTHING THAT MATTERS, while they beg for your money and votes in yet another worthless election cycle.